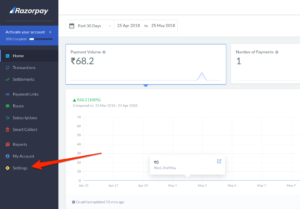 Razorpay is a popular payment gateway in India because of their excellent support for many forms of payment such as credit card, net banking, UPI and more. 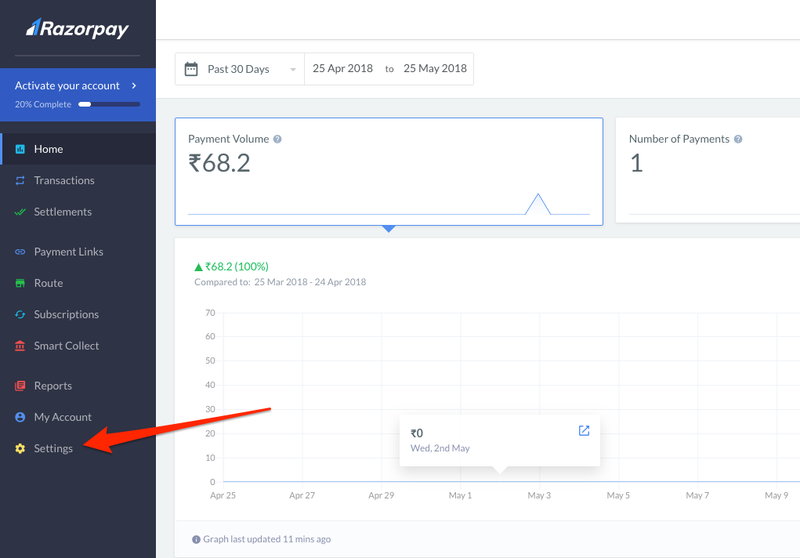 The following article describes how to integrate Razorpay with Give using the official add-on. 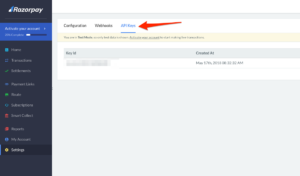 In order to accept payments with Razorpay using Give you will need to have an active Razorpay account, the Razorpay Give Add-on, and the Give Core plugin installed and activated. It is also highly recommended that you have an active SSL certificate for your website. 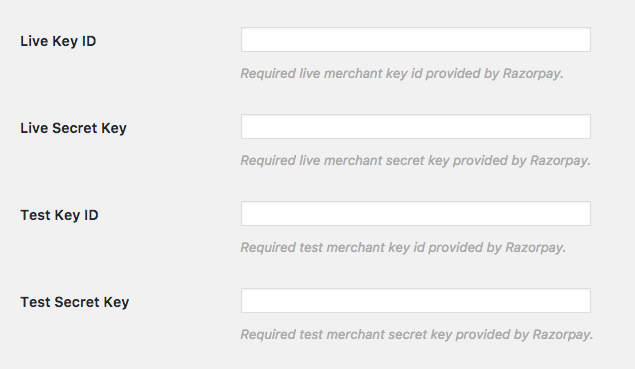 API keys are necessary for Give to send donation information securely to Razorpay. 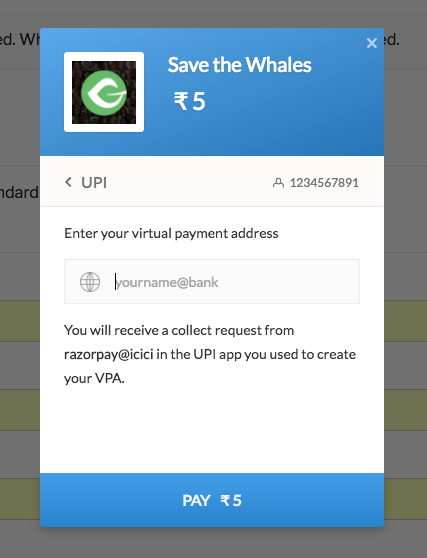 This requires logging into your Razorpay account, copying down the API keys, and then adding them into your Give Settings. 2. 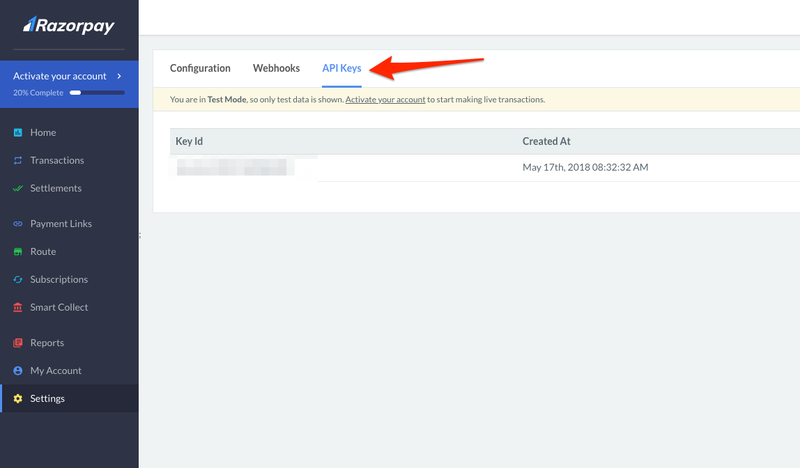 Select the API Keys tab. Once the plugin has been setup you can now test the plugin to see if it works properly. To begin testing place Give in “Test mode” – Read more about Give’s Test Mode. 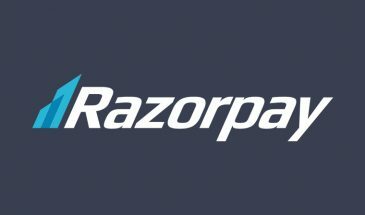 Ensure that the Razorpay gateway is active. Navigate to a donation form on your website and checkout using. Test using a card number like 4111 1111 1111 1111 with any future expiry date and CVV in test mode. Upon successful donation you will be taken to the successful donation page. 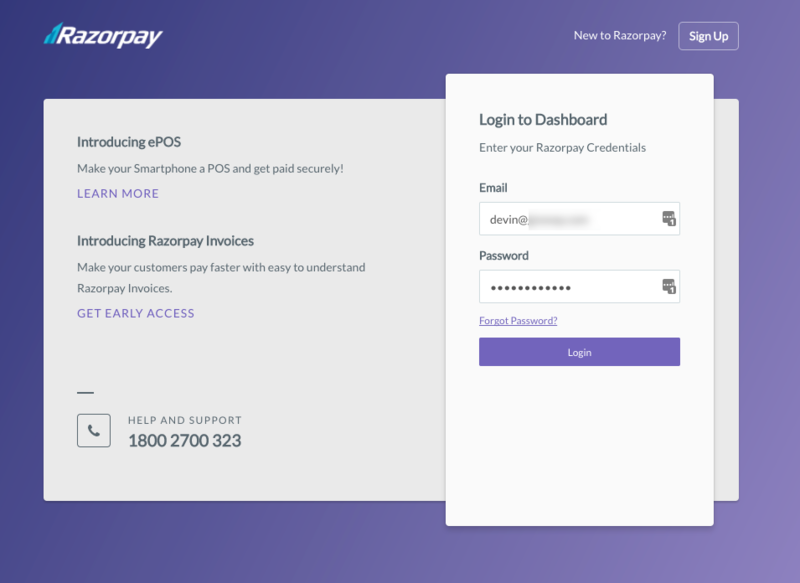 The Razorpay payment process is done completely on your website via the checkout modal popup. 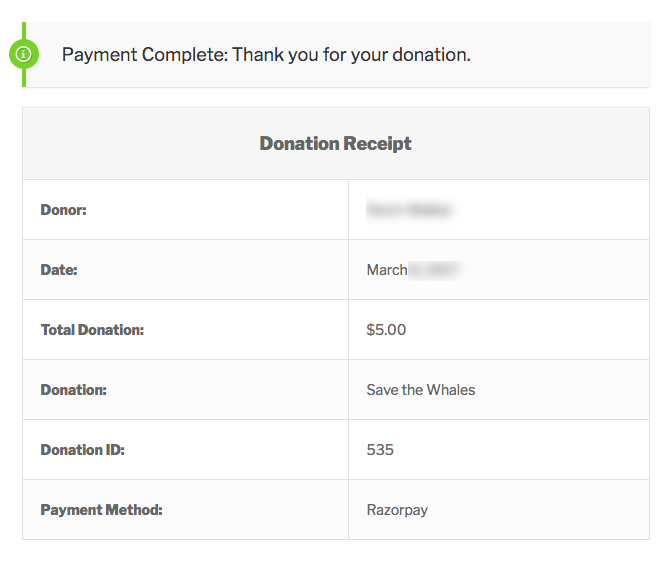 Here is the process of making a donation with Razorpay from a donor’s perspective. 1. 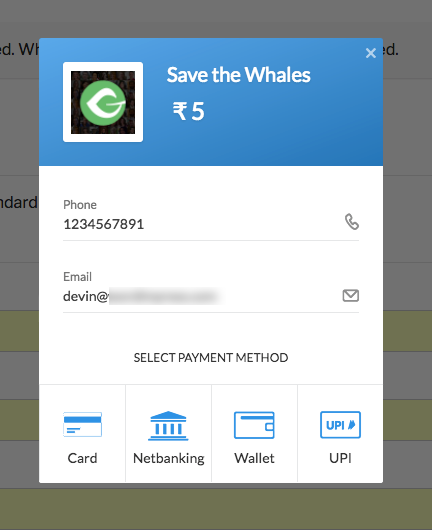 Navigate to a Donation Form with Razorpay enabled. 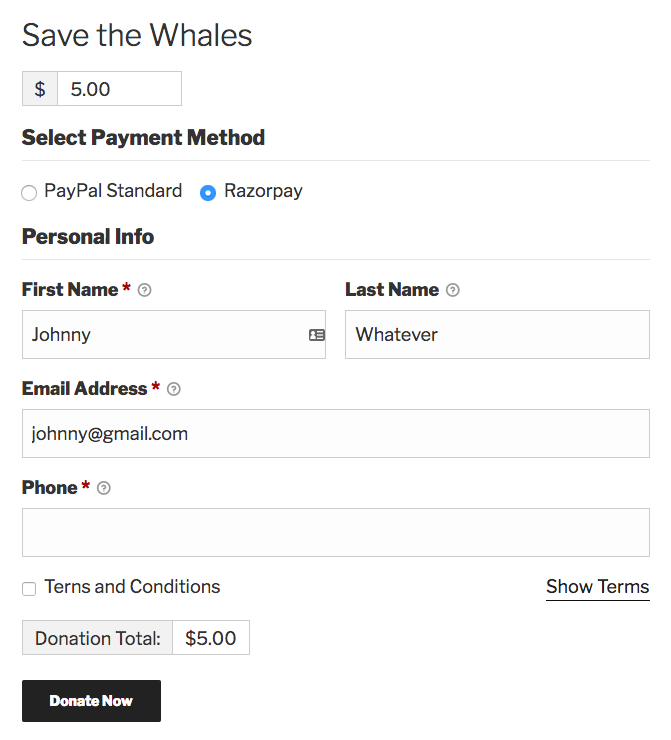 A donation form with Razorpay enabled. 2. After the donation form is completed and the “Donate Now” button is clicked the Razorpay checkout appears. 3. The donor selects a payment method and continues. 4. Upon successful donation the donor is taken to the receipt page on your website.